Analysis | Arab League’s Syria Plan: too little, too late? In a exclusive essay, Chris Doyle, prominent analyst and commentator on the Middle East, surveys the situation in Syria in the wake of last week's Arab League plan. The prospects for a swift resolution, he warns, are slipping away. When the Arab league announced on Wednesday (2 November) that the Syrian regime had a peace plan, there was some surprise. The agreement had been accepted unreservedly, we were told, and implementation would have to be immediate. It envisaged a pull-back of forces, release of political prisoners, free entry for journalists and a dialogue between the regime and the opposition. It also raised many questions: which cities would the regime pull back from? Would they allow the huge demonstrations that would ensue to take place? How many prisoners does the regime hold and would all be released? And, if there were going to be talks, who would represent the regime and who would represent the opposition? After all, the opposition would need to know they were dealing with a decision maker within the regime, yet it also remains unclear what sort of coalition of Syrian opposition forces would be represented either. Was this all just a political stunt to gain time? To paint the opposing forces as against a peaceful resolution? Ever since the start of the uprising in Syria in March, it has been the story of ever-escalating protests and an ever-escalating brutal response. The Syrian regime could not stop the protests using a full array of coercive tactics and propaganda tools, but the protesters could not achieve “isqat al nizaam”, toppling the regime either. The intense clashes moved from one city to another, while the regime’s key armed units and security forces became heavily overused and exhausted. Understandably, the protesters, too, despite their courage, showed signs of fatigue. Much of Syria remained unmoved. The ‘silent majority’ have been watching with alarm, both at the actions of the regime but also at the failures of the opposition to coalesce effectively or to put forward a coherent vision for the country. The external opposition held endless meetings in various capitals that proved largely uninspiring. August saw the start of several key trends. Firstly, frustrated at the lack of progress in weakening the regime, more Syrians began to discuss international intervention in the form of No fly Zones or buffer zones. There were also a growing number of Syrians prepared to consider the use of arms against the regime. In particular, many external opposition groups spoke out in favour of this, though nobody spelled out exactly how such an intervention might take place without the loss of tens of thousands of lives. Secondly, the regime started becoming far more isolated, including regionally. Turkey and Qatar, erstwhile friends, lost patience and the European Union sped up a whole series of sanctions. This precipitated a third trend: a major decline in the regime’s earning potential. Having already seen tourism drop to almost zero, the lack of returning Syrians and Gulf visitors, over the summer, dealt a huge blow to the economy. The EU embargo on Syrian oil exports that will take effect from 15 November will deprive the regime of its last major income stream. The eventual impact on Syrians is unclear but is worrying. As winter approaches ones fears for poorer Syrians unable to afford heating oil. Fourthly, there has been an increase in sectarian clashes, not least in Homs. Even during the two days before the Arab League agreement there were ugly killings in the city. Sadly there are those who wish to stir this up further. All the above underlines why a peace agreement is much needed. There was no sign of an end to the bloodshed, indeed it has been getting worse with larger flows of arms, and increasingly sectarian overtones. The economy is creaking, with a real impact on ordinary Syrians, and likely to get worse. The only political trends were growing isolation of the regime and confusion within the opposition, even after the establishment of the Syrian National Council (SNC), still yet to prove itself to most Syrians who have remained largely unimpressed. Most members of the SNC have harboured dreams of a NATO-led Libya style intervention or a Turkish buffer zone, neither of which is at all likely. NATO member states have little political willingness, no feasible military options for Syria and are far too bogged down in the global economic crisis to seek an intervention significantly tougher than that in Libya. Too many in the Syrian opposition have indulged in this fantasy, failing to realise that it is both highly unlikely but also extremely dangerous for Syria. If the opposition have few options, neither does the regime, which has lost most of the political props that had kept in power, and now can only resort to the use of force to maintain control. If regime forces left the key flashpoint cities such as Homs, Hama and Dara’a, there would be huge protests in the hundreds of thousands the day after. Consequently, neither side has a winning military option, and neither side can look to outside forces to change the balance of power. 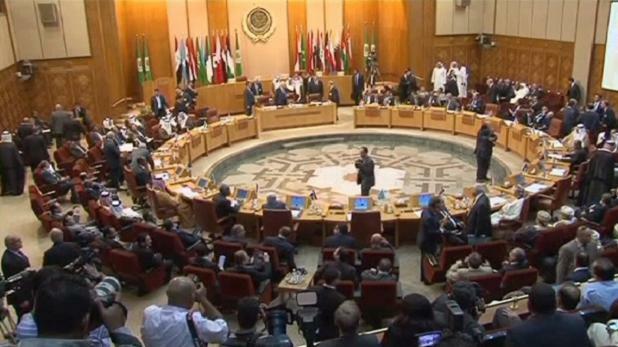 The Arab League plan at least has the benefit of triggering discussion of how to find a political process that could avoid the worst-case scenarios, above all a sectarian civil war. Of course, there is great scepticism that it will work, not least that there appears to have been little let-up in the killings in the immediate aftermath of the agreement. There have been no reports of any pull-out of regime forces. Prisoners have yet to be released, and international journalists are still kept out. Above all, there is no trust. The likelihood, alas, is that unlike many of the other Arab countries caught up in the “Arab Spring”, the situation will be protracted and drawn out, deteriorating month by month. The implications for the region of such a major state, with its complex ethnic and sectarian mix, is exactly why the Arab League has tried, and is trying, to find a political solution however flawed. Had such an agreement been reached in the early summer, maybe there could have been progress. However, as much as this political solution is needed to secure Syria’s future, the omens are not good. Chris Doyle is the director of the council for Arab-British understanding (CAABU). He has worked with the Council since 1993 after graduating with a first class honours degree in Arabic and Islamic studies at Exeter university. The Arab Leaugue inititiative called the Syrian regime to allow full access to the media. The regime agreed to allow Arab and International media to do their job covering the protests in Syria. As far as I can see, not a single TV crew or Press Corespondent has been allowed to enter Syria. What’s happening on the ground in Syria is a kick in the teeth for the Arab Leauge and its Secretary General Nabil al- Arabi. I would say the Arab League is now complicit in the crimes committed by the Syrian Security thugs against the pro-democracy protesters.